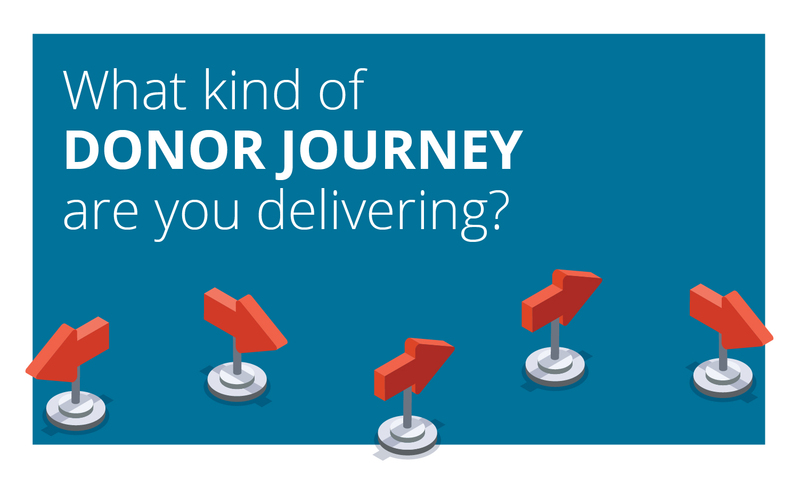 Earlier this year, I shared the primary three stages of the donor journey. Today, I’m back with the final two stages. As you may recall, the donor’s journey starts off similarly to the buyer’s journey—but can conclude with two additional destinations: donation and believer. Your nonprofit’s ultimate goal is to help your donors reach the believer stage of their journey. Your planned giving marketing can get them there. First, let’s recap steps 1-3: awareness, consideration and decision. Bring your donor’s attention to the problem and the need for a solution. Identify your organization (and planned giving) as a part of the solution. This step is donor-focused. Consideration begins when donors think they can make a difference. Now, they are asking themselves how they can make the biggest impact. The donor has determined that your organization is best suited to solve the problem. They’re ready to team up with you and take the next step. Executing their decision, and actually making the donation, should be made simple. Provide the resources and tools to make this stage as seamless as possible. As a believer, your donor has given your nonprofit consideration, made the decision to donate—and most importantly—has become a long-term supporter. Assure them, year after year, that they made the right decision through stewardship. Demonstrate how your nonprofit continues to make a difference and how their donation will make an impact in the future. How can your planned giving marketing turn donors into believers? It can be difficult to know where to start when it comes digital. That’s why we’ve created Your Digital Marketing Handbook. Learn more about your donor’s digital journey and discover how to attract, educate and convert donors through digital marketing. Take control of your digital presence and craft a digital marketing strategy that grows your donor base and increases your planned gifts.